For a city of a certain age, you may be surprised by how current Athens really is. More than just its storied past, the Greek capital welcomes those from all over the world to make it their full or part-time home. By now, the truth of Greece’s economic situation is out, and it’s looking up. After years of tribulation and sinking property value, the real estate market is experiencing renewed demand. In particular, there has been a trend of High Net Worth Individuals (HNWI)’s increased interest in not only large luxury houses and attractive prices, but also cultural experiences and a cosmopolitan lifestyle. Buyers are enchanted by the city’s exceptional quality of life, beautiful weather and architecture, its discretion, privacy, and security – plus, it’s a bigger bang for your buck. Even more, just like Paris, London, or New York, the city of Athens buzzes with life, history, art, and culture, attracting all kinds of personalities with fascinating tastes to its high-end restaurants, authentic tavernas, theaters, museums, and monuments. It comes as no surprise that the properties for sale in Athens have followed suit, carefully crafted into works of art. 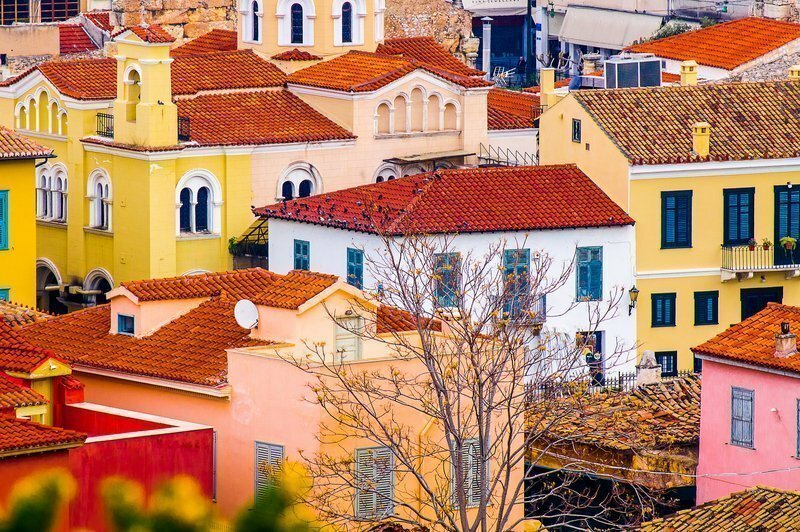 Whether as a primary or secondary residence, from beautifully embellished apartments with views of the Acropolis to large private properties with fragrant Mediterranean gardens, the market is full of ripe opportunities. There are a number of very popular neighborhoods in and around the capital city. Situated in the city center are the neighborhoods of Anaktora and Kolonaki. In these parts of town, high-end neoclassical properties are dispersed among temples, private schools, high-end shopping, embassies, and the Royal Palace at the foot Mount Lycabettus. Greater Athens is every bit as an exciting living environment as the rest. To the north, Kifisia is one of the wealthiest neighborhoods in Athens. As an upscale suburb, it has attracted significant Greek families to luxury contemporary-design villas. Alternatively, the southern suburbs of the “Athenian Riviera” offer many a seaside escape without having to cross the Aegean. On the southern tip of the Attica peninsula, you’ll find grand estates and private yachts docked in Glyfada and Vouliagmeni, the “Hellenic Hamptons” or “Beverly Hills of Greece” where the rich and famous of Greece live happily under the radar. Surrounding the residential areas are beautiful mountains and greenery for hiking and exploring, as well as the seaside resorts, beautiful beaches, water sports, luxurious yachts, and exclusive clubs. Many families even look to buy second homes on an nearby island in the Aegean, which can be reached in 15 minutes by helicopter. Buyers are also attracted to the fact that the Athens International Airport is easily linked to all European destinations, including Eastern Europe and the Middle East, made even easier by private air travel. On a last note, here’s a interesting fact: Our most recent reports tell us that 1 million euros can buy a penthouse of 200 m2 in Kolonaki, while a house in Athens costs approximately 2,000 euros per m2. For more information, contact the experts at the BARNES Greece real estate agency to assist your real estate project.